A Calverstown resident, recently arrived in the area, has found what he thinks may be a vital link to the local area's Quaker past. Alan Carolan and his wife moved to the area last September from Dublin and in the course of working on their garden came across an old, large, pot. Intrigued, Alan recalled a recent documentary he had seen about the Quaker community in Ireland which had been famous for buying a large number of pots during the famine and feeding the destitute with them. Given Calverstown's proximity to Ballitore, which has a very strong Quaker connection, Alan wondered if in fact this was one of the renowned Quaker pots. “After seeing this TV programme we are confident that we have discovered an important artifact of Irish famine history,” Mr Carolan wrote to the Leinster Leader. “We have researched these pots and it seems very few of them still exist. We feel our discovery may be of some interest to your readers especially as it has been found under very heavy overgrowth in Calverstown. And he appealed for any information readers of the Leinster Leader might have on the pots and of the whereabouts of others like it. 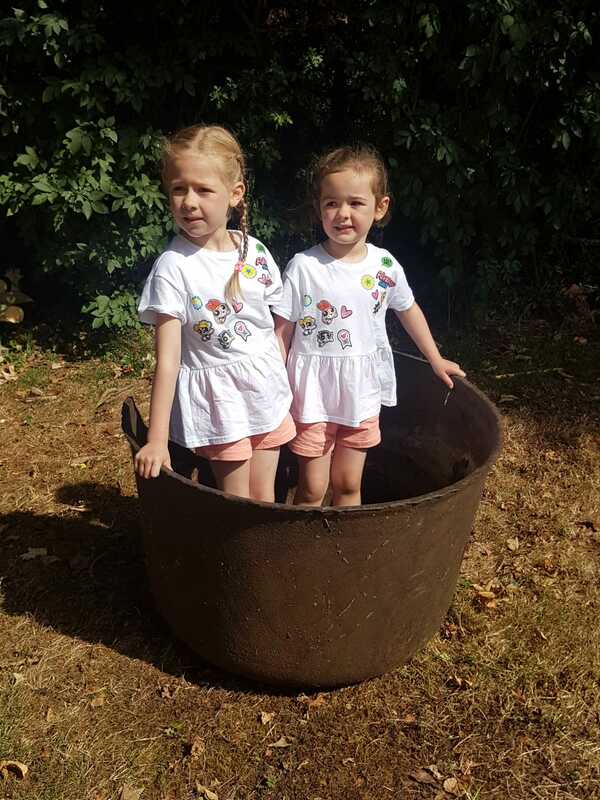 Mr Carolan took this shot of the pot using his granddaughters Lucy and Grace Ronan for scale.